Students after SPM or O-Levels interested in a career in Engineering can go for the 1-year Foundation programmes at top private universities in Malaysia instead of an external Pre-University Course like SAM, AUSMAT or A-Levels. The Foundation in Engineering programmes are cheaper than the external Pre-University programmes and generally easier. If you do not plan on going overseas for your engineering degree programme, then it is better to go for the Foundation programme at a top private university in Malaysia. If you are sure that you want to study engineering for your degree in Malaysia, you can go for the Foundation in Engineering course. If not, you can go for the Foundation in Science which is more general and is still accepted for entry into engineering programmes at top private universities in Malaysia. To enter into the Foundation in Engineering or Foundation in Science programmes in Malaysia, students after SPM would need at least 5 credits in the relevant subjects with a pass in BM and Sejarah. It is important to check if your results qualify for you to enter the Foundation to avoid disappointment. Entry Requirements for the Foundation in Engineering vary from university to university. Below is a list Foundation in Engineering at top private universities in Malaysia. If you are not sure if your results qualify, please send EduSpiral Consultant Services a copy of your results for evaluation for entry. I was confused about what to study & didn’t want to do what my dad was working as because he was so busy. My mum asked EduSpiral to advise me. He showed my that I am different from my dad & helped me to make the right choice. Choosing a top private university in Malaysia to study after SPM or O-Levels for your Foundation in Engineering course takes time, it is a process in finding out which one best fits you. You need to talk to the right counselors who are knowledgeable and experienced. 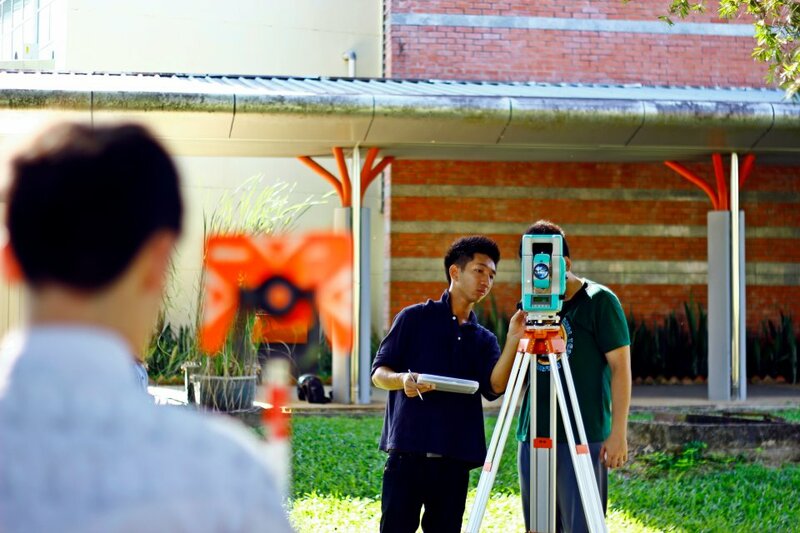 Students should choose top universities in Malaysia for a solid Foundation in Engineering course to help prepare you for the rigours of the engineering degree programme. Foundation in Engineering courses are intensive, focused one-year Pre-University courses which prepare students for your engineering degree studies in Malaysia and guarantee entry to the university of interest upon successful completion. The Foundation in Engineering courses provide a solid foundation for students to adapt to university education more confidently, both in terms of level and style of education of the particular university. You will get the chance to study a variety of subject areas in the Foundation in Engineering Programme. This will not only give you an idea of what subject you may like to progress on to, but also to develop the valuable learning skills necessary for pursue a degree. A Foundation in Engineering Programme in Malaysia can be 2 semesters with 6 months each semester or 3 semesters with 4 months each semester. Students after SPM or O-Levels interested in a career in Engineering can go for the 1-year Foundation programmes at top private universities in Malaysia instead of an external Pre-University Course like SAM, AUSMAT or A-Levels. The Foundation in Engineering programmes are cheaper than the external Pre-University programmes and generally easier. If you do not plan on going overseas for your engineering degree programme, then it is better to go for the Foundation programme at a top private university in Malaysia. If you are sure that you want to study engineering for your degree in Malaysia, you can go for the Foundation in Engineering course. If not, you can go for the Foundation in Science which is more general and is still accepted for entry into engineering programmes at top private universities in Malaysia. Many top private universities in Malaysia, have developed their own internal university foundation programmes. These Foundation courses are accredited by the Malaysia Qualification Agency (MQA) and recognised by the respective foreign partner universities. Unlike the external qualifications which focus on more general Science and Art-based subjects, the internal qualifications provide specialisation in precise areas of study such as the fields of business, computer & IT, and engineering, and hence, cater to the specific needs of different students. Entry Requirements into the Foundation in Engineering or Foundation in Science programmes in Malaysia, students after SPM would need at least 5 credits in the relevant subjects with a pass in BM and Sejarah. Students in Malaysia will be getting a first class education from a top ranked UK University right here at Heriot-Watt University Malaysia’s state-of-the-art campus at Putrajaya. In the QS World University Rankings by Subject 2016, Heriot-Watt University is ranked Top 150 worldwide for Civil & Structural Engineering and Ranked in the top universities worldwide for eight subjects: Chemistry, Chemical Engineering, Civil & Structural Engineering, Electrical Engineering, Mineral & Mining Engineering, Computer Science & Information Systems, Mathematics and Physics & Astronomy. Heriot-Watt was ranked fourth in Scotland in the 2016 Complete University Guide. Heriot-Watt University ranked 5th for Chemical Engineering, 9th for Electrical & Electronic Engineering and 9th for Civil Engineering in the UK. Scotland. Heriot-Watt University is ranked 3rd for Electronic and Electrical Engineering, 17th for Chemical Engineering, 2nd for Civil Engineering and 10th for Mechanical Engineering. The Heriot-Watt University Malaysia Foundation Programme offers the following tailored pathways into the some of the best undergraduate degree programmes in Malaysia. Students after SPM or O-Levels with at least a Minimum 3 Bs and 2 Cs, in SPM or O-Levels, including B in Mathematics, English and Physics or Chemistry and a minimum of C in Additional Mathematics and Physics or Chemistry – or equivalent global qualifications to enter into the Foundation in Science at Heriot-Watt University Malaysia. Students interested in registering at Heriot-Watt University Malaysia, please go to this link. Affordable hostel accommodation is provided at safe and conducive condominiums in Cyberjaya with free bus shuttle to and from Heriot-Watt University Malaysia. Scholarships are available at Heriot-Watt University Malaysia to deserving Malaysian students who have achieved high results in their SPM or O-Levels examinations. The programme content for the Foundation Programme at Heriot-Watt University Malaysia is taught over three semesters (18, 14, 14 weeks) through lectures, seminars and group work. Students will be supported and mentored throughout your studies to ensure a smooth academic and cultural transition to higher education, and the British university style of teaching and learning. All the subjects relate directly to the progression degrees offered with strong emphasis on English language skills appropriate to the pathway (spoken, written and academic English). You will develop an awareness of the links between the subjects and the world of work in general. will look at functions and their graphical representations and will develop the tools of calculus, matrix algebra, and differential equations to relate the properties of mathematical models to the physical world. You will cover electromagnetic and sound waves, wave properties (reflection, refraction, interference, diffraction) Newton’s equations of motion, energy, states of matter (solids, liquids and gases), and the structure of the atom. You will also develop your knowledge and understanding of electrical charge and current and, potential difference, resistance, capacitance, transistors and amplifiers, electrical, gravitational, magnetic, and electromagnetic fields. You will learn about atomic structure, the elements and the Periodic Table, chemical formulae and equations, and an introduction to chemical bonding, redox reactions, equilibrium processes, chemical kinetics and organic chemistry, particularly hydrocarbons. The Foundation in Science is a focused programme of academic subjects, study skills and English language training designed to provide you with a direct route into a professionally relevant and internationally recognised degree at Heriot-Watt University Malaysia. *Some degree programmes are subject to MOE approval and may change. Levels or similar qualifications to develop the skills and knowledge to progress into the first year of degree of choice. Throughout the programme, our academic staff will advise you on the options available at each stage of your university degree study. 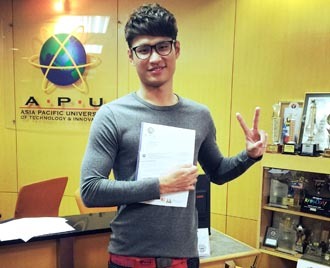 If you have 5 Credits in “SPM’ or “O” Levels or equivalent then the Degree Foundation at Asia Pacific University (APU) is ideal for you because it is purposely designed to prepare you for entry into a degree in many areas of Information Technology, Business or Engineering. 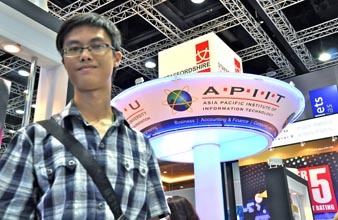 Asia Pacific University’s vast experience in delivering degrees means we know what students need to do well in a degree. We have used this to design a Degree Foundation which gives you the skills in communications, research, English, Maths, technology (including Information Technology) and general study methods to do well whichever of our wide range of degrees you choose. And APU goes further by providing you with an introduction to Business and IT or Engineering so that you can make an informed choice of degree when you have completed the Foundation. Depending on your choice you can go on to study full time for a 3-year Honours degree in IT, Games, Media, Business, Design, Accounting, Finance, International Studies areas or a 4-year Honours degree in Engineering, which is internationally benchmarked. degree and also allow you to discover what you can study depending on whether you choose a degree in Business, Accounting & Finance, Banking & Finance, Actuarial Studies, Media, Information Technology or Engineering. The 1-year foundation in engineering programme at Taylor’s University equips students with the necessary knowledge and skills to pursue a successful engineering degree. As part of Taylor’s University education pathway, students who complete this foundation in engineering programme are eligible to pursue degrees in chemical, mechanical or electrical & electronic engineering. The programme also places emphasises in learning by doing, and students are regularly required to immerse themselves in hands-on learning activities such as case studies and real-life projects. As part of their course of study, students will be exposed to an innovative and technologically-driven programme that employs digital tools to enhance teaching and learning. Upon completion, students will develop core competencies in the field of Engineering, which gives them a head-start to becoming sought-after future engineers who are able to positively impact the world around them. Foundation in Engineering at Taylor’s University. If you are unsure of whether engineering or other science programmes, you should go for the Foundation in Science. Intakes for the Foundation in Engineering at Taylor’s University are in January and July of each year. Students who are not sure whether to go for engineering or other science programmes may go for the Foundation in Science. There is a March intake for the Foundation in Science at Taylor’s University. Upon completion of the Foundation in Engineering at Taylor’s University, students may proceed on to the following engineering programmes below. The 4-year engineering degree programmes at Taylor’s University are accredited by MQA and the Board of Engineers Malaysia (BEM). Curtin Sarawak offers foundation courses that prepare students for undergraduate study. They also challenge students to become active learners who can acquire, interpret, communicate and apply knowledge within and across disciplines to cultivate the integrated thinking required in a complex and rapidly changing world. Foundation studies include two semester courses in Foundation Engineering and Science. The courses are aimed at developing academic diligence, critical analysis, and a raft of generic skills in students. They provide a solid foundation for the students to adapt to university education more confidently, both in terms of level and style of education. This course prepares students for undergraduate study in Engineering and Science, Computing and Information Technology. In addition to several units that are common to all foundation courses, students study units in Engineering Mathematics, Physics and Chemistry and Programming in C++. The courses are aimed at developing academic diligence, critical analysis, and a raft of generic skills in students. They provide a solid foundation for the students to adapt to university education more confidently, both in terms of level and style of education. Why Foundation in Engineering & Science at Curtin University Sarawak? Students who obtain satisfactory results are eligible for admission to a range of undergraduate courses offered at Curtin Perth. Credits towards a Curtin qualification may be granted to applicants with qualifications from other accredited educational institutions. Since its establishment in 1999, Curtin University, Sarawak Malaysia (Curtin Sarawak) – the largest international campus of Curtin University – has experienced exponential growth in enrolments for courses under its Bachelor of Engineering programme. This could be due in large part to the fact that its engineering courses are identical in all aspects to those offered by its Australian parent, and that they are accredited by engineering bodies both in Australia and Malaysia, and in the case of the Bachelor of Engineering (Chemical Engineering), in the United Kingdom as well. Another significant factor is the Tier 5 or ‘Excellent’ rating Curtin Sarawak has received for its engineering programmes under the Ministry of Education’s Discipline-Based Rating System (D-SETARA), which is a testimony to the quality of the campus’ teaching and learning, academic programmes, research output, staff calibre, graduates and their employability. Curtin Sarawak has also been rated Tier 5 in the Ministry’s SETARA rating system for overall performance of institutions of higher learning in 2009, 2011 and 2013. It is also one of only eight tertiary institutions in Malaysia granted self-accreditation status by the Malaysian Qualifications Agency. In the global rankings, Curtin is ranked in the top 150 universities worldwide for civil and structural engineering, top 200 for electrical and electronic engineering, top 150 for environmental studies, and top 100 for chemical engineering in the QS University Subject Rankings 2014. Curtin is ranked in the top 2% of universities worldwide in the highly regarded Academic Ranking of World Universities (ARWU). In 2014, Curtin’s position increased by more than 100 places to equal 303rd in the world and equal 10th in Australia. Perth, Western Australia, students can expect the same standards of instruction and learning experience. They can also transfer between the two campuses to complete their Curtin degree. Furthermore, qualifications are awarded directly by the main campus. The engineering courses at Curtin Sarawak have practical applications and are designed to help solve real-world challenges. They are very industry-focused and the campus takes full advantage of its strong industry links in their delivery. Many of the courses are closely linked to industries to Sarawak’s petroleum and plantation industries and new manufacturing and processing industries in the Sarawak Corridor of Renewable Energy (SCORE). This enables the students to gain valuable industry exposure during the course of their studies. 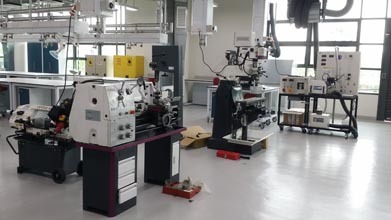 The courses are taught by highly-qualified academics at Curtin Sarawak’s Faculty of Engineering and Science, most of whom have real industry experience and hold PhDs. Many of them have won awards for teaching excellence and research, and they keep up with the latest developments in their fields and integrate the newest advancements in educational technology into their classes. This affordable Foundation in Engineering, Science & Technology Programme in Malaysia prepares students for undergraduate degree studies in Engineering or Computing at First City University College. The duration for the Foundation is 1 year (3 semesters) with intakes in January, March and May of each year. With 5 credits in SPM or O-Levels including the relevant subjects, you can go for the Foundation in Engineering, Science & Technology at First City University College. After the 1-year Foundation, you can continue on to the 4-year Electrical & Electronic Degree at First City University College. Students should choose top private universities in Malaysia for their electrical & electronic engineering education so that you can gain the best knowledge and skills for a successful career. The Faculty of Engineering and Computing at First City University College provides students with the latest in learning experience through the use of state-of-the-art facilities. Students are inspired and motivated through a hands-on approach in the teaching of engineering and computing. Why Study Engineering at First City UC? First City University College Final year electrical & electronic engineering student, Yip Chee Hoe, with his project, “DC-DC Step Up Converter for Wind Turbine Application”. Students who wish to specialise in Engineering are required to take these elective modules. *** Students who wish to specialise in Computing are required to take these elective modules. Students who wish to specialise in Science are required to take these elective modules. For SPM students, a pass in Malay Language and History is required. Engineering plays a pivotal role in our lives and it’s no surprise engineers are in great demand all over the world! 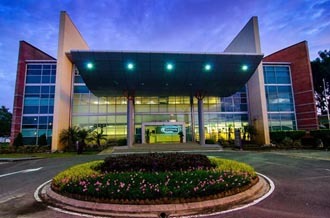 KDU University College Foundation in Engineering is ideal for those looking to gain admission into engineering degree programmes, providing students with opportunities to develop fundamental knowledge and skills set in physical sciences, technical knowledge in engineering and language skills for tertiary education. Students are introduced to engineering-based subjects such as mechanics, electronics, and material science, enabling them to decide their specialised field of engineering to pursue upon completion. Upon completion, students will be able to articulate seamlessly into engineering degree programmes offered at KDU. Assessments comprise a mix of coursework (research project, presentations and assignments) and final examinations, which is conducted at the end of each semester. In some units, E –Learning, is done through the Learning Management System, Schoology. It is conducted to aid teaching and learning. It links both students and lecturers in a virtual community. This allows the lecturers not only to upload materials which can be downloaded at the student convenience, but also allow teachers to conduct tests and provide prompt responses to queries from students.